Beautifully illustrated abridgement of this classic. Perfect Gift. The 1950s book that was the basis for the classic 1994 family film The Secret of Ronan Irish is now back in print as part of the New York Review Children’s Collection. Hums with the mystery of Scottish folklore and the author’s own seaside upbringing in Vancouver and Wales invigorates the story with evocative details. 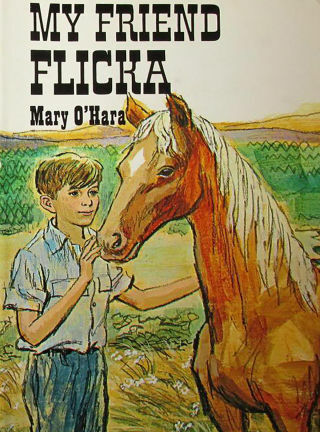 First published in 1955 and still one of the most popular fantasies for younger children. One of the joys of revisiting the tales as an adult is discovering that, like all really good children’s fiction (and films too), there are many levels to them. The wolf is simultaneously a dangerous wild animal, a sexual predator and an annoying little brother, slipping from one role to another within the space of a sentence. In the title story he is at one moment saying “I shall be in your bedroom before it’s light tomorrow morning, crunching up the last of your little bones,” and the next proudly telling Polly that he bought half a pound of beans “with my own money … all by myself”. You get a real sense of the wolf being truly threatening, sinister and cunning, but this is almost immediately dispelled, a few lines on, by his childlike pleasure in having managed some shopping on his own. Halfway through reading the stories I flipped back to a page I would certainly have ignored before – the edition notice or copyright page. This is something that has, unsurprisingly, become more important to me since being published myself, but I was also curious to see when Clever Polly was published. I was surprised to find it was written in 1955. The language doesn’t seem at all tied to that era, whereas some of Storr’s novels for children, Marianne Dreams for example, are full of characters who describe behaviour as “jolly decent” or apologise for being “beastly” to each other, and seem a little more dated. 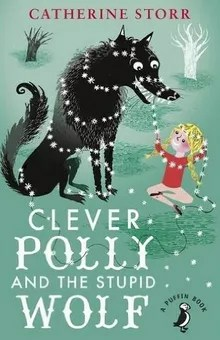 I had always assumed Clever Polly had come out in the 1980s or 90s, when books with a positive message for girls – such as Robert Munsch and Michael Martchenko’s The Paper Bag Princess – or those that reimagined fairytales – for example Jon Scieszka and Lane Smith’s The True Story of the Three Little Pigs – were being written. Clever Polly fits so well with these, and 60 years later it still reads like a feminist reworking of Little Red Riding Hood. There are eight marvelous Vintage classics to collect, one free every Saturday until March 1st, when you buy the Irish Independent at any participating Tesco store. Each book is worth €6.99 which is absolutely FREE with each Irish Independent purchased in a Tesco store. via This Saturday, the Irish Independent launches a very special Children’s Book collection. – Independent.ie. via Beautiful Creatures – NYTimes.com.